Can you believe the holidays are just around the corner? I know, I know, we are barely out of summer and I am showing Holiday cards. Well, I have to get a jump start or I will never finish before I have to pop them in the mail. On today's card I am using two new dies from Die-versions...the Edge Express Dec. 25th and the Jingle Bell. I masked the top of the card and inked the die cut with Delicata Golden Glitz. After die cutting the Jingle Bells, I then stamped them with Penny Black stamps Indian Wheel, Gratitude & Eloquence. The main portion of the card is stamped with Penny Black Letter Background. Golden Glitz ink was used on the whole card. After attaching the Jingle Bells to the card front with foam adhesive, I then threaded Kreinik Metallic Gold Cord and attached to the back of the panel. 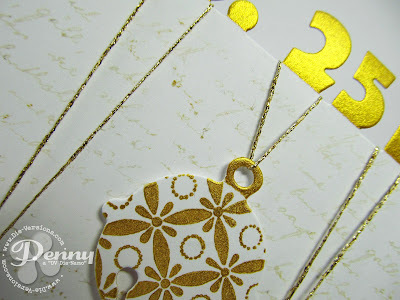 All in all, it is a fairly simple card to make yet it turned out so elegant and isn't it a kick when you make a card that qualifies for a challenge...Like the All That Glitters is Gold Challenge in the Moxie Fab World. Absolutely stunning!! Love all the gold!! This is stunning! 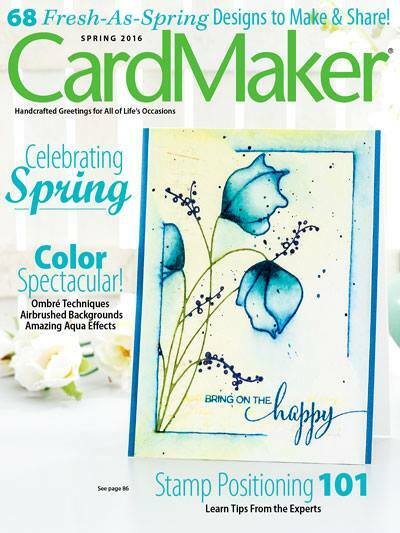 Love the gold and white and such a fabulous design! I just left a comment on your flickr site - but just want to add that this has to be a winner - so innovative! WOW Penny! The gold in this is magnificent. I never seem to have good luck with metallic inks (my fault and impatience at waiting for it to dry no doubt) but this brand/type is new to me so maybe I need to give it a try. Penny your card is dazzling ~ the gold is so brilliant and your ornaments are beautiful.